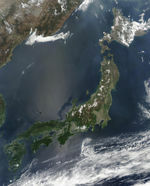 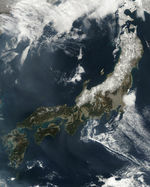 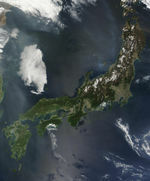 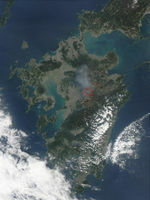 Typhoon Sinlaku can be seen south of Japan in this true-color image taken on September 3, 2002, by the Moderate Resolution Imaging Spectroradiometer (MODIS), flying aboard NASAs Aqua spacecraft. 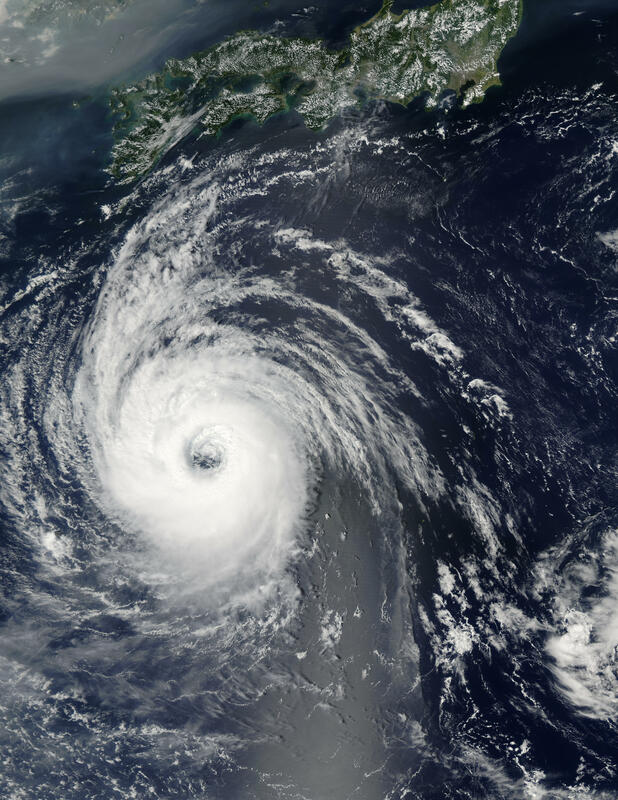 As of September 4, the hurricane was moving straight towards Taiwan and packing sustained winds of 104 miles (167 kilometers) per hour. 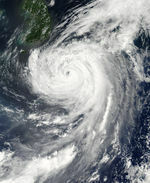 The storm is likely to make landfall in Taiwan by the morning of September 5.